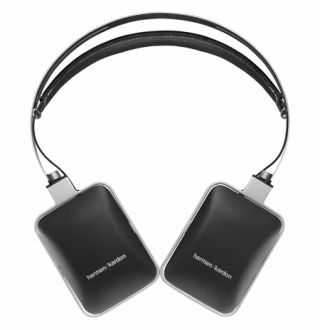 VIDEO: Harman Kardon develops new headphone range, from £90 to £220 | What Hi-Fi? Harman Kardon is no stranger to the headphone market, with sister company AKG picking up a Product of the Year Award in 2011for its AKG 450 model. Now Harman Kardon has developed its own bespoke range of headphones, with four models on sale from today, and a fifth due to arrive in August. The line-up comprises two sound-isolating in-ear models, the NI (£90) and AE (£130), plus the £170 CL on-ear model and £220 over-ear BT Bluetooth version. The fifth one will be a sub-£300 noise-cancelling headphone. All five models are aimed at music lovers "seeking a refined industrial design true to Harman Kardon's rich acoustic heritage". The on-ear/over-ear models come with a sand-blasted steel outer headband in two sizes, ensuring the correct fit, while a leather inner band provides added comfort. Magnetic leather earpads sit on a steel frame containing 4cm drivers, and have detachable cables. They fold flat to go in the slim carry case provided. Both in-ear styles are designed for passive noise cancellation, so minimising sound leakage when listening on the go. Buyers get a tangle-free cable and small, medium and large silcone inserts. You can opt for custom-fit inserts on the AE model. A three-button remote control with mic is standard, enabling the user to make and receive phone calls as well as control volume and playback of music. Features a 9mm driver, rectangular black housing, tangle-free cable with built-in mic and smartphone/player controls. Use the same 9mm driver as the NI, but feature an aluminium outer casing for "superior acoustic damping to deliver extended bass response". A Comply foam sleeve is offered as well as the three standard sizes of silicone sleeve. Metal hinges, a sand-blasted meatl finish and rectangular ear pieces "designed to reflect the iPhone's iconic design" are the key features here. Memory foam earpads, ported drivers and a 1.4m woven, detachable cable with a 2.5mm-3.5mm jack complete the spec. Bluetooth, apt-X compatible wireless headphones with an integrated mic and built-in playback/volume controls on the side of one ear cup. The battery lasts for a claimed 12 hours and can be recharged using the supplied USB cable. If the battery dies on you, the headphones can be used passively with a direct cable connection to your iPod/iPhone. These four models will be available exclusively in Apple Stores across the world from today. The noise-cancelling NC version will be sold from August.